So I did a little poll on my insta-stories to see if y'all would be interested in me sharing my favorites from the big Nordstrom Anniversary Sale. And to be surprise, it was quite an even split (45% yes/55% no) so I decided to take a look at the sale and do a round up of my favorites and also share what I ended up actually purchasing. To be completely transparent, I myself get a little over the #NSALE from all the bloggers constantly pushing it in your face which just makes me annoyed - LOL. The sale started a few weeks ago and I didn't even bother looking at it for two reasons: (1) I was simply just too busy haha and (2) I haven't thought it's been that good the past few years. Well y'all, here I am posting about the sale - ha! I went through all the pages of the sale last night and rounded up my favorites in the collage above. And I only picked items that had most of the sizes available to be fair for everyone! Don't want to get anyone's hopes up if they find something they like then it's not available - THE WORST. So hopefully these items are still available by the time this blog post is live! Again, I didn't find the items of the sale to be amazing but I did find a few gems!! Which makes it all worth it I guess? 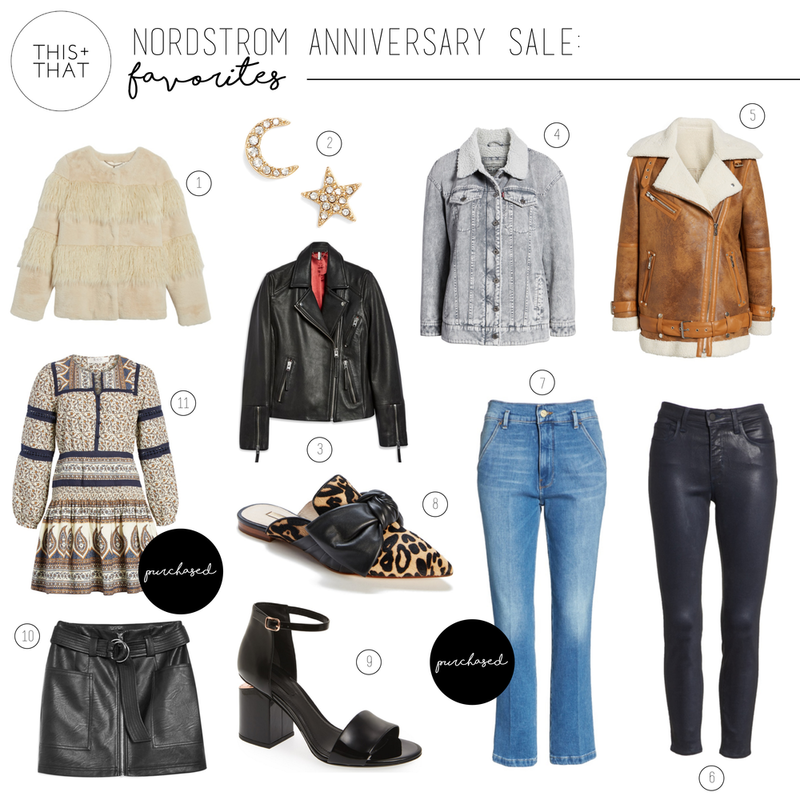 I think the key to shopping the sale is to find things you'll wear year-over-year. I think one of the main reasons I get annoyed (as mentioned above) is that bloggers push the same cheap basic cardigan, sweaters, etc that you'll prob only will wear this fall season. Don't get me wrong, go ahead and shop your heart out but I personally want to use the sale to invest in quality pieces at a good price. I can purchase an inexpensive sweater at any time! Ya feel me?! So, with that said - what did I actually purchase from the sale? Well I bought this dress and these jeans. I love the style of the dress and have liked several pieces by this brand but couldn't pull the trigger as this brand is on the higher end of the price spectrum (at least for my wallet). So I was excited to find this dress on sale! I think it will last me for many falls to come. It will look great paired with booties or over-the-knee boots! I've also been on the hunt for jeans without any distressing and I love the style of these! My new job doesn't allow for hole-y jeans so I've been repeating the same two jeans day-after-day haha. I don't have any similar denim styles in my closet so I'm excited to add this pair to my ever growing denim collection. Hope you liked my selects! The Nordstrom sale can definitely be overwhelming so just think about what pieces your closet is missing for fall and start from there!